Our top picks offer a comfortable fit, good battery life, and great audio. Earbud makers have been busy doing away with wires—a good thing whether or not your phone still has a headset jack. You no longer have to deal with cords if you don’t want to. True wireless earbuds connect to one another and your audio source via Bluetooth. No wires mean no inline microphones or controls, but truly wireless earbuds sound just as good as traditional Bluetooth counterparts (for better or worse). They also boast all of the features we’ve come to expect from earbuds designed to work with your smartphone, tablet, or PC. Since Apple’s AirPods became a runaway hit, an endless stream of companies have rolled out their own true wireless earbuds and earphones. As you might expect, not all of them are worth your time or money—so we’ve got your back with buying suggestions to meet a wide variety of needs. 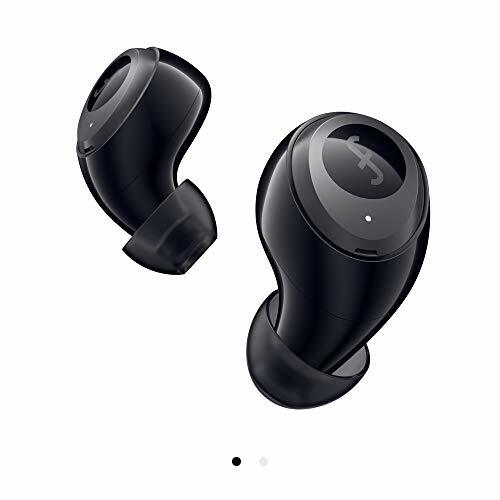 Latest update (03/12/19): Added reviews of the AirPods (2nd generation) and Funcl W1. There are plenty of good true wireless earbuds out there in the sub-$200 range, but none quite deliver the “whole package” for iPhone and iPad users like Apple’s 2nd-generation AirPods. These near-ubiquitous wireless earbuds are unmatched in their compact design and ease of use. 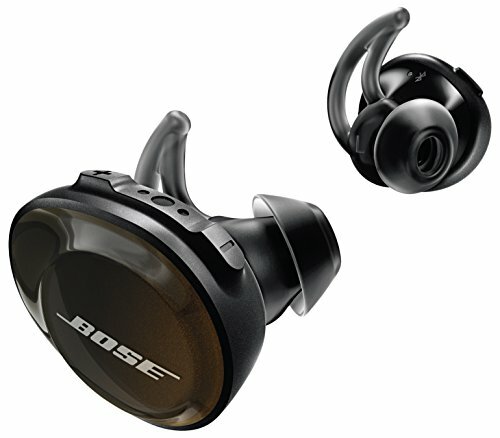 They maintain a rock-steady connection, slick design, plenty of comfort, good battery life, and pleasing sound quality. 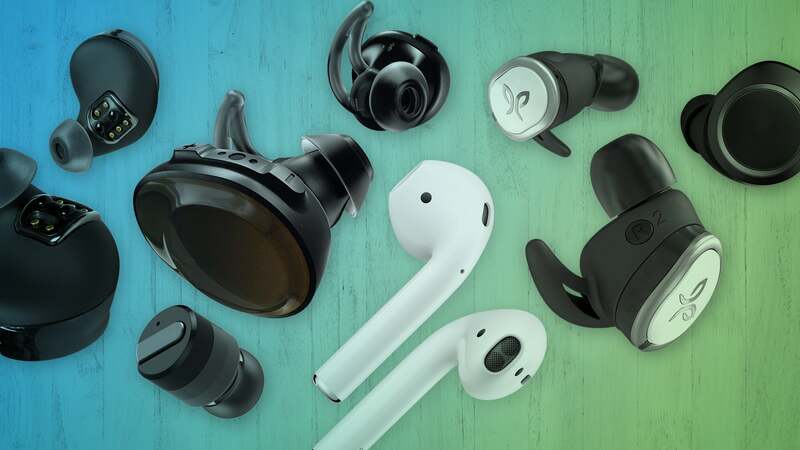 Yes, you can buy similarly-priced wireless earbuds that beat the AirPods in one or two of these aspects, but Apple’s product is placed right in the sweet spot, and nobody offers a better total solution for Apple fans. Apple has recently replaced the original AirPods with a new second-generation model, which adds a surprisingly useful hands-free “Hey Siri” activation, faster pairing and switching, and better battery life when talking on the phone. You can also get an optional wireless charging case for $40 more, but it's not really worth it. If you have very particular needs, like supreme sound quality or a really rugged workout build, you might want to look elsewhere. For the average listener with an iPhone, though, the new AirPods will be tough to beat. There are lots of True Wireless Earbuds out there for less than $100, but most of them are terrible. They either sound awful, have terrible fit and finish, poor construction quality, or lots of technical problems. Often, it’s most of those things at once. The Funcl W1 are the exception that proves the rule. With a cost right around $50, they work surprisingly well, free from most of the glaring technical, design, and usability problems of their peers. No, they are not completely foolproof, nor do they have the kind of sound quality you can expect from headphones three times their price. But for the price they completely outshine every other pair of sub-$100 true wireless earbuds we’ve tried. Bose’s $250 SoundSport Free is water- and sweat-resistant, can go five hours between charging, and is insanely comfortable to wear. (Read our review here.) What’s more, the design of these earbuds’ silicon tips makes them almost impossible to shake out of your head—but you still keep a good deal of situational awareness, making the SoundSport Free a good choice for joggers or cyclists. The only knock against the SoundSport Free is its size: The earbuds are considerably larger than its competition, making them a less than fashionable choice for style conscious individuals. With 3.5 hours of battery life, per charge, the Master & Dynamic MW07 aren’t the longest lasting truly wireless earphones that we’ve tested. But that didn’t keep us from selecting it as our favorite pair of truly wireless earbuds for audiophiles. Simply stated, they’re the best-sounding pair that we’ve ever tested. 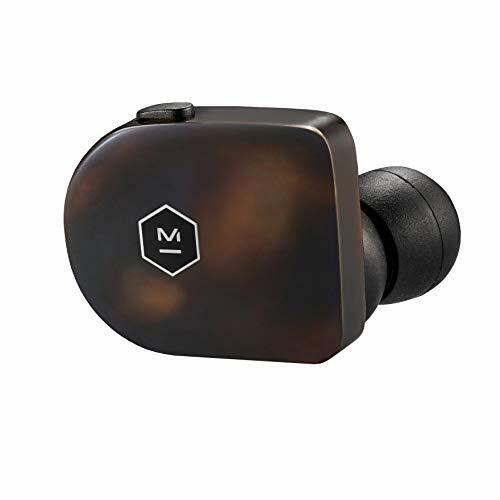 Offering excellent aural separation and a surprisingly wide sound stage, the MW07 will fill your ears with rich, punchy bass, clear mids, and crisp high-frequency audio. Everything we listened to on them sounded great. Master & Dynamic includes five different sizes of silicon ear tips with the MW07, so finding a good seal and comfortable fit should be achievable for most people. Thanks to Master & Dynamic’s proprietary fit fins, the MW07 will stay in your head, no matter what you’re doing, until you’re ready to remove them. Between the juice in the headphones and the battery reserve in the MW07’s stainless steel charging case, users can expect a total of around 14 hours of listening time. When the time comes to recharge, you’ll be able to do so via USB-C.
For those who value you top quality audio and aesthetics over all else, these are the earphones to get. Sounding good is a set of earbuds’ raison d’être. When you invest in a new pair of true wireless earbuds, it’s fair to assume that they should make everything sound its best. We start each sound test by listening to a playlist of five songs that spans different genres and features strong, layered performances: that we know very very well: Feel Right (Mark Ronson, featuring Mystikal); Up & Rise (Hazmat Modine); Shake Your Hips (The Legendary Shack Shakers); Déjà Loin (Yann Tiersen); and I’m a Little Mixed up (Diana Krall). We play this set of songs for an hour, paying attention to low, mid, and high-frequency performance, and whether they provide a broad, rich soundstage. We also listen for any sign of distortion at low or high volumes. Afterward, we use the earbuds in our daily lives for a minimum of three hours a day over the course of a week, making sure to take in at least one TV show or movie. (This allows us to verify that the audio keeps in sync with the video we see.) Finally, we pay attention to incoming and outgoing call quality, to make sure that you won’t get annoyed during a chat. A set of earbuds or earphones may sound amazing, but no one will know it if they don’t fit well—a good seal keeps environmental noise out and your audio channeled into your ears, where it belongs. Because no two pairs of ears are identical, we note if a set of true wireless earbuds comes with different ear pieces. We also pay attention to the tightness of a seal, as a snug fit provides passive noise cancellation (aka the hush that falls over your life when you jam a pair of earphones or earplugs into your skull). If you’re in a noisy airport, tuning out your environment is a plus—but it’s less than ideal if you’re out running, for safety reasons. We take this into consideration when evaluating earbuds designed for working out. They might fit and sound great, but if your new true wireless cans hurt your ears, you won’t wear them. We wear the earbuds for at least three hours a day for a week and note if a particular set becomes uncomfortable after a few hours of use. True wireless headphones use Bluetooth to connect to each other and to your audio device. We pay attention to connectivity issues stemming from signal interruptions between the earbuds and their audio source, and also note if audio drops from the left or right side during playback. At minimum, a good pair of true wireless earbuds should be able to accept calls as well as play and pause music. If a pair offers additional features beyond the basics, those functions should work well and be easy to use. It almost goes without saying that if you pay a premium for earbuds, they should sound spectacular. If a pair of headphones sound great and don’t cost much? Even better! Click on the links below to read the full reviews of all the products we tested. We’ll continue to update this article as we put more true wireless earbuds and earphones through their paces, so keep checking for our latest opinions. While they rate amongst the most expensive true wireless headphones we’ve tested, the B&O Beoplay E8 are without a doubt, the best sounding and most luxurious-feeling headphones that we’ve tested. If you can afford them, you’ll most likely be very pleased with your purchase. Two-year warranty against dust and water damage. Audio properties can be changed with companion app. 15-minute charge provides 90 minutes of music. Lightweight materials make them look a little cheap. At $249, the Bose SoundSport Free are expensive: you can find a number of competent true wireless headsets for significantly less. 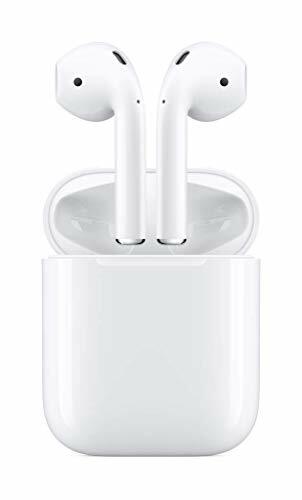 But with their nearly unflappable Bluetooth reception, water resistance, easy to use controls and brilliant sound, we feel that they’re worth the price of admission. The Jaybird Run sound great, are weather resistant, and packed full of functionality. That they provide all of this at a reasonable price makes them an excellent choice. Jabra's Elite Sport are an exceptional workout companion, but their middling audio makes them a less ideal choice outside of the gym. Bragi’s Dash Pro, with all of its capabilities (when they work) could be worth $330, to the right person. But considering their middle-of-the-road audio performance and slew of connectivity issues, most people may want to look elsewhere for their next set of true wireless headphones. The WF-1000x sound good enough that they could have been a hit with mobile music lovers. But their disappointing ANC performance and lack of on-headphone controls makes them hard to recommend in light of other more capable options. With marginal battery life, often overwhelming bass, and aggravatingly loud control buttons, these earphones are only a reasonable choice for those constrained by a fixed budget. The Rowkin Micro are a fine example of what happens when hardware prioritizes form over functionality. While these sleek little earbuds might look like something out of a spy movie, they sound like something better left in audio’s distant past. $150 should buy you a set of headphones that sound good, if not great. Alpha Audiotronics’ Skybuds don’t do that. We suggest you give them a hard pass.